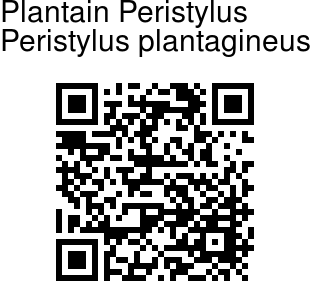 Plantain Peristylus is a small perennial herb, 20-50 cm tall with stout brown stem. Leaves are 4-8, plantain-like, clustered in the middle of the stem. They are oblong, pointed, stalkless, with 5-7 nerves. Flowers are borne in dense upright spikes 10-25 cm long. The stalk bearing the spike is 5-10 cm long. Spur is globose, shorter than the sepals. 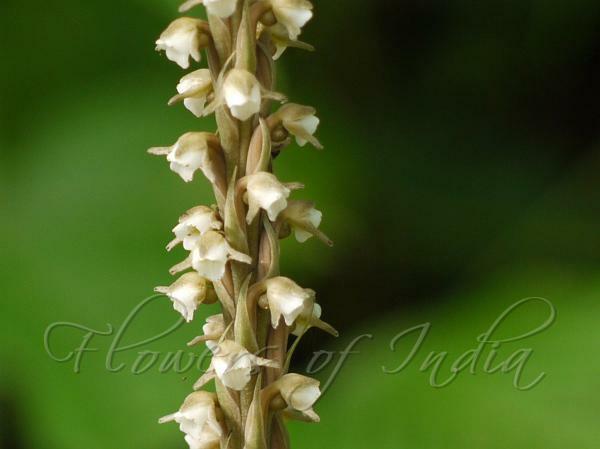 Plantain Peristylus is found in Western Ghats. Flowering: June-July.